Omran and Saraya Holding Oman, Muscat’s premier resort village is currently developing a residential project under the name of Muscat Bay. This a is a natural peaceful place that will be home of 435 exclusive residential units that combine attractive waterfront and mountainside views with easy access to modern amenities. In addition, two five-star hotels will form the major leisure components of Muscat Bay, providing guests with a luxurious retreat, where the mountains meet the Arabian sea. A OMR 232 million luxury resort tucked away between the Hajar mountains and the sea on the outskirts of Muscat has been rebranded ahead of its launch later this year. Called Saraya Bandar Jissah, the integrated tourism resort will now be known as Muscat Bay, according to the project’s developers Omran and Saraya Holding Oman. The first phase of the resort, to be completed in 2017, will include an initial 260 residential units in three residential zones. 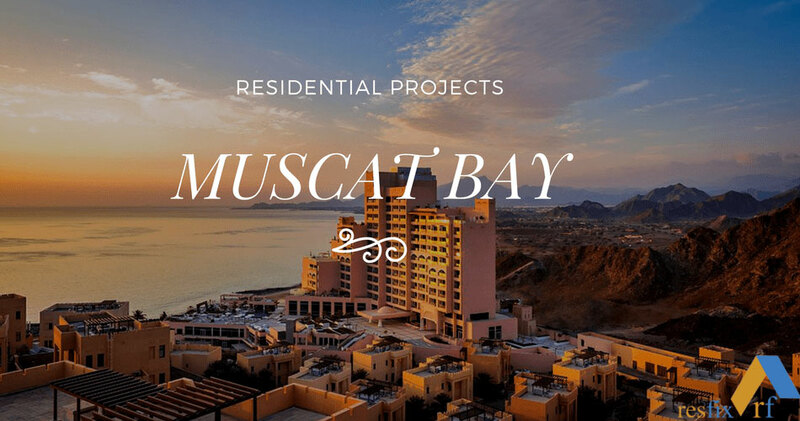 Muscat Bay’s residences will include Zaha Parkland and Waterfront three- and four-bedroom villas, large duplexes and one- and two-bedroom Parkland Residences and Premium Waterfront and Parkland Residences. Nameer Island villas and Wajd Hilltop Palaces, will provide picturesque views of the flowing lagoon and seascape, and will overlook the landscaped park below. A Village Square planned for phase two will offer an array of community services. Prominent Luxury hotels and resorts operator, Al Jumeirah will also provide two five-star hotels - one resort, opening in 2017 and one boutique, opening in phase two - for the very first time in Oman. With solid sales of the Phase One residences under way, the development is Oman’s “untold success story in real estate” and will continue to grow as the project edges closer towards full completion. The developer, Saraya Holding Oman is a part of Saraya Holdings, which invests in real estate, hospitality and tourism industries while government-owned Omran drives investment, growth and development within the tourism sector of Oman.